Here at Huws Gray we make every effort to ensure that we provide our customers with the best bricks in the industry, because we know how important it is to use good quality building materials. 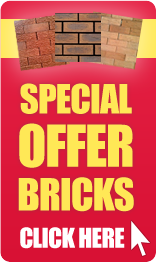 With our range of Lagan bricks you can be sure that they are strong and reliable and they won’t let you down. We’ve got Lagan bricks in different colours and sizes so you’re sure to find a type of Lagan brick that suits your needs. If you can’t find what you’re looking for then get in touch with us today and we’ll help you find the perfect product.